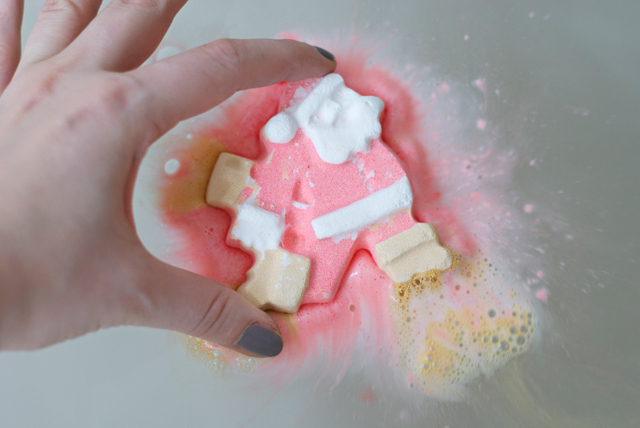 While Lush's bath bombs are made to add some scent and colour to your bath water, you can also get bubble bars for some major bubble fun, or the Luxury Bath Melts to moisturize and soften your skin. 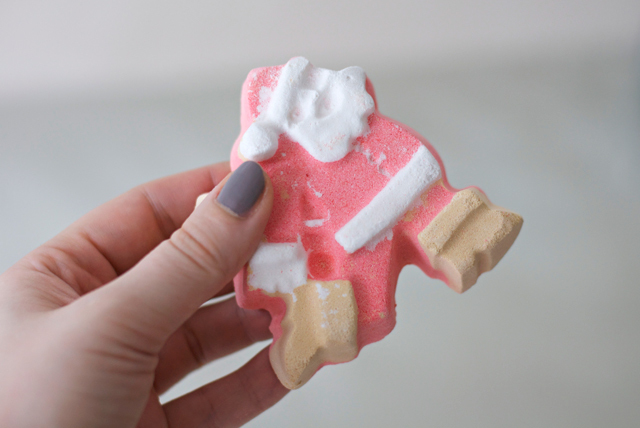 And even though the crumbly Dashing Santa won't have any major benefits to the skin, it has one big advantage to me: It leaves your bathtub with a magical golden layer of glitter. Girly girl after all. Putting the bomb in the bath water is just so much fun! 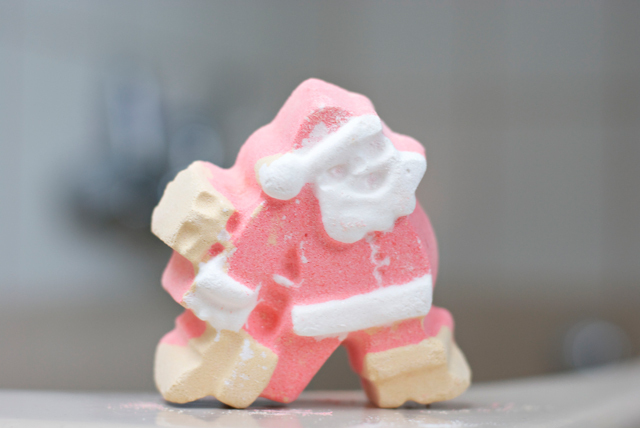 The Santa immediately starts melting and fizzling and crumbles away like a fizzy tablet. Soon the water turns all red with a subtle dash of glitter. The smell isn't quite Christmasy but therefor rather fresh because of the citrus fruit ingredients. 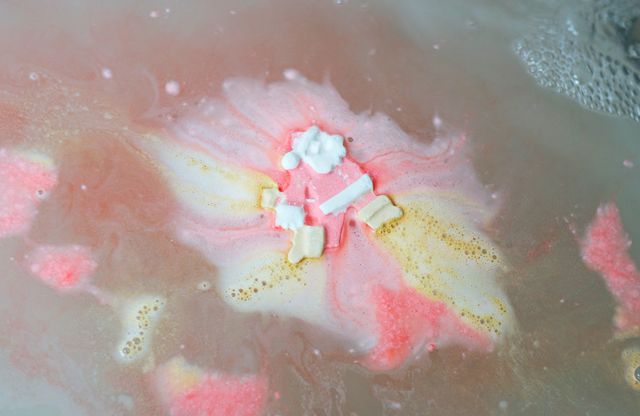 The holiday season may be over but if you're a regular bath lover you should check out your local Lush store within the next days. At the moment you get most Christmas products at half price or with a "buy one get one" offer, so why not score on some timeless products or already stock up for next Christmas? What were your favourite Christmas specials this year? Ahhh sooo fun, love the gold and red in the water! Very cute. I want try it !